A home improvement credit card is a card that offers rewards and discounts to homeowners, contractors, handymen, fix and flippers, and other real estate professionals. They’re generally used to buy project supplies, equipment, fixtures and furnishings, and more. We’ve compiled a list of the ten best home improvement credit cards for 2019. We evaluated the best home improvement credit cards by taking into account people who are doing a one-time project and investors or businesses that are looking for additional perks, rewards, and employee cards. For an investor who has Airbnb properties or vacation homes, “home improvement” can sometimes mean updating their property with more regularity. After taking this best credit card for home improvement criteria into consideration, we recommend the Home Depot Consumer Credit Card as the best overall home improvement credit card. It is the most versatile card that offers six-month financing with no interest for purchases of $299+, hassle-free returns for up to one year, and exclusive cardholder promotions throughout the year. There are a lot of cards out there. To search, sort, and compare the most up-to-date offers from all major credit card issuers, visit our marketplace. Find a credit card that’s perfect for you. The Home Depot Consumer Credit Card is the best home improvement credit card because of its flexible financing options, overall cardholder rewards, and no annual fee. Although it does have an APR of 17.99% to 26.99%, it offers six-month financing with no interest on purchases of $299+. This card is right for real estate investors who need to renovate or repair properties from time to time and homeowners undertaking an occasional project. The Home Depot Consumer Card offers no-interest financing for six months on purchases of $299+. Once this promotional period ends, the card will have a variable APR between 17.99% and 26.99%. Although there are cards like the True Value Discover Card that provide lower APRs, Home Depot is the best store for homeowners and contractors taking on occasional projects. Similar to most store cards, the Home Depot consumer card has no annual fee and no application fee. It’s important to pay your balance on time because of this card’s possible late fees. Any balances that are unpaid 25 days after you receive your bill will receive late fees up to $38. These costs match up pretty evenly with the other store cards with the exception of Lowe’s and True Value, which have a 23- and 21-day grace period, respectively, before accruing a late fee. Most store cards have very similar costs and ongoing fees, but their cardholder rewards are typically different. Reward programs for store cards and credit cards are very different because store cards generally offer incentives that pertain to purchases made at a specific store. The Home Depot Consumer Credit Card offers rewards and incentives to cardholders such as discounts up to 5% on specific products at Home Depot and one-year, hassle-free returns for all cardholders. In addition to Home Depot’s eligible discount and return policy, you can get up to $100 off your first purchase depending on your total purchase amount. This introductory offer is also redeemable for a $25 or $100 discount if you have a single receipt showing you made a purchase within 30 days of opening your account. Home Depot has a unique feature that lets you pre-qualify for their card without impacting your credit score. Pre-approval offers only require a soft credit check, which only provides a brief credit summary and doesn’t hurt your personal credit score. Generally, Home Depot requires a fair personal credit score of 640+ on all of their store cards, including the consumer, project loan, and commercial cards. The Home Depot Consumer Card doesn’t offer cash-back rewards like other credit cards, and you can’t earn points to use at another store. Unlike the IKEA Visa and Lowe’s card, the Home Depot Consumer Card can only be used at Home Depot. If you need a more flexible card, it may be worth considering the IKEA or Lowe’s cards. Through evaluating online reviews, we found that most people like using this store card because they can find most of the supplies they need for their home improvement projects at the Home Depot store. However, people complain about not receiving reminders or notifications when the no-interest period ends, so be sure to keep a close eye on this to avoid future interest charges. You can apply for a Home Depot store credit card online or at any Home Depot location. If you apply online, you can pre-qualify within a couple of minutes or you can go straight to the application, which takes about 10 to 15 minutes. Generally, you will hear back on your approval within 24 hours and receive your card within 10 business days. The True Value Discover Card is best for handymen and real estate professionals who want to be able to use the card anywhere that accepts Discover and earn rewards redeemable at True Value from those purchases. It offers no interest for the first six months and no annual fee. Once the introductory period is over, it will have an APR between 15.99% and 26.99%. Similar to the other store cards we covered, the True Value Discover Card offers no interest for the first six months on purchases of $299+. Once the promotional period ends, the card will have a variable APR between 15.99% and 26.99%, which adjusts with the prime rate. If you’re solely choosing a card based on its ongoing APR and the specific store isn’t a factor for you, it would be best to go with the True Value card over Home Depot and Lowe’s because its interest rates are significantly lower. 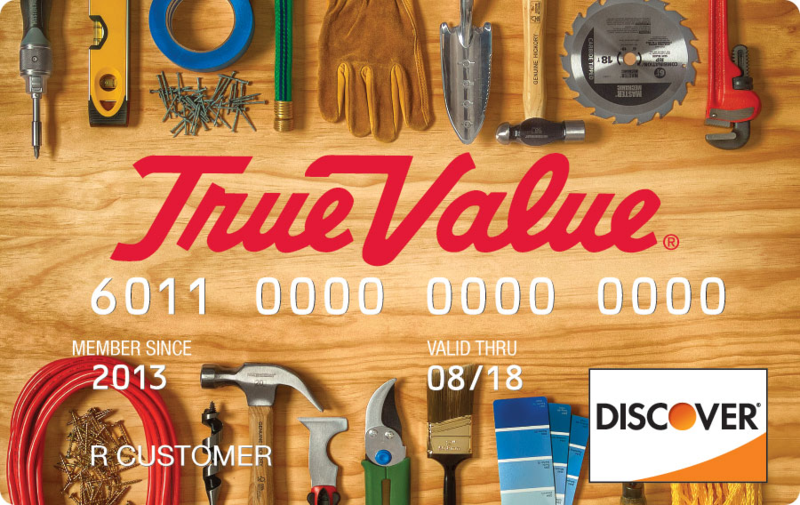 Similar to the rest of the home improvement cards, there is no cost to apply for a True Value Discover Card and there is no annual fee. Similar to the Chase Ink Business CashSM, this card allows for balance transfers. Each transfer costs 3% of the transferred amount with a minimum fee of $5. The True Value Discover Card offers rewards between 1% and 3%, which add up to vouchers that you can use for your project supplies at True Value stores. The True Value store credit card is like the IKEA Visa card in that you get rewards for using the card at other retailers like gas stations and grocery stores, as well as at True Value itself. True Value offers a handful of more rewards and benefits compared to the other store cards, including IKEA, Home Depot, and Lowe’s. The great thing about the True Value Card is being able to earn reward points at other retailers. This gives cardholders excellent spending flexibility, which allows them to maximize their rewards. The True Value Discover Card doesn’t mention a minimum FICO score in order to qualify, but it’s a Discover card and adheres to their guidelines. We called Discover and they mentioned a good personal credit score is required. We recommend having a personal credit score of 640+ to qualify for a Discover credit card (check your credit score here). The True Value store card doesn’t offer a one-year return policy to its cardholders, like the Home Depot store card offers. It also doesn’t offer in-store project financing, like Lowe’s and Home Depot do with their store cards. Online reviews suggest most people like using this card because of its flexible spending and ability to earn rewards on purchases outside of True Value. People like this option if they plan on shopping for their home improvement project at True Value because they can redeem their rewards as True Value vouchers. We found there were no negative reviews about this card. You need to apply for the True Value Discover Card online. The application takes about 10 minutes and you typically get a decision within 24 hours. If you’re approved, the card will be mailed to you within 10 days, along with a $10 voucher to use at any True Value retail location. 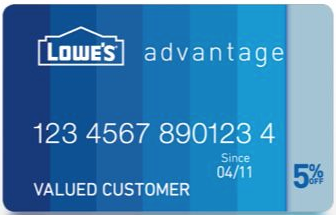 The Lowe’s Advantage store card is best for real estate professionals who want discounts on eligible Lowe’s purchases. This card tends to have a higher APR than most, which is 26.99%. However, it’s a great card for people who want to finance a project of $2,000+ through Lowe’s and receive discounts up to 5% on eligible purchases. Like the Home Depot store card, the Lowe’s credit card offers an introductory APR based on your purchase amount. Along with that, it has a high fixed APR of 26.99%. Business owners planning on leaving a balance on their card should consider a card with a longer introductory APR period, like the Chase Ink Business CashSM. Keep in mind that any remaining balance after that six-month promotional period will accrue interest at the regular APR rate. If you know your project is going to cost $2,000+, you can take advantage of Lowe’s project financing option that offers 36, 60, and 84 fixed monthly payments. Like the Home Depot Consumer Card, the Lowe’s store card doesn’t have an annual fee. These fees match up really well to the Home Depot Consumer Card, besides it has a shorter grace period before getting hit with a late fee. The Lowe’s credit card offers excellent incentives to its cardholders, such as 5% off eligible purchases. Compared to the Home Depot Consumer Card, the Lowe’s store card has better financing options for projects and purchases of $2,000+. For purchases of $2,000, they offer 36, 60, and 84 fixed monthly payments. If you have a project that cost $2,000+, you can ask for new fixed monthly payments and receive a reduced APR. The reduced APRs include 33.99% for 36 fixed monthly payments, 5.99% for 60 fixed monthly payments, or 7.99% for 84 fixed monthly payments. Lowe’s doesn’t have a specific FICO score that is required in order to qualify for their store card. Instead, their customer service says you usually need a good personal credit score. Generally, a personal credit score of 640+ is considered to be good and can be enough to qualify for a credit card. The Lowe’s credit card doesn’t offer an option to pre-qualify like Home Depot, so you can’t be approved prior to applying (check your credit score here). The Lowe’s store card doesn’t give you the opportunity to use the card at other merchants and earn more store rewards, like the True Value card. It also doesn’t have a specific return policy for cardholders, like the Home Depot Consumer Card. Instead, returns are simply in accordance with the store’s policy. We sourced the web for reviews and found that most people like using this store card if they generally do their home improvement shopping at a Lowe’s store location (because you can’t use it at other merchants). People like this card because of its project financing option, but find the return policy to be a hassle compared to other stores like Home Depot. You can apply in any Lowe’s store or on their website, where you can fill out the application in about 10 to 15 minutes. You usually get an approval decision within 24 hours and the card is sent to you within 10 business days, which is generally the same process as the Home Depot store card. The IKEA Projekt Credit Card is best for homeowners who want 0% interest for up to 24 months at IKEA. The IKEA Projekt card offers no-interest financing for six, 12, and 24 months for minimum purchases of $500. Without the no-interest financing, there is a fixed APR of 21.99%. This is a great solution for your large IKEA project needs, but it’s important to know this card can only be used at IKEA stores. Compared to the IKEA Visa card, the IKEA Projekt card offers different introductory APR periods to help finance different home improvement projects. Depending on your purchase amount, you can receive between six and 24 months of no-interest financing. Once the promotional period ends, the IKEA Projekt Credit Card has a regular APR of 21.99%, which adjusts with the prime rate. Regardless of your credit score, every cardholder will have the same APR. This is an excellent card option if you’re looking for long-term financing like the Lowe’s card. However, the Lowe’s card provides financing up to 84 months. Although a higher credit score can’t get you a better regular APR, you can still benefit from the introductory periods. IKEA Projekt Credit Card has no annual fee and doesn’t allow balance transfers, just like the Home Depot Consumer Card and Lowe’s Advantage Card. We contacted IKEA to inquire about their late fee, but they couldn’t provide exact information. However, we do know it’s likely required. The main difference with the IKEA Projekt Credit Card compared to the other home repair credit cards is that it doesn’t have a rewards program. There are no sign-up bonuses and you don’t have the opportunity to earn any cash back. However, you can benefit from the IKEA Projekt Credit Card because of the financing programs available. Any new purchases made on the IKEA Projekt Credit Card of $500+ will automatically be put on their no-interest financing plan. During this time, a minimum payment of at least $30 is required and any unpaid amount at the end of the promotional period is charged the regular interest rate (21.99%). Cardholders have the option to opt-out of this financing program and move to the regular revolving credit plan if they wish. 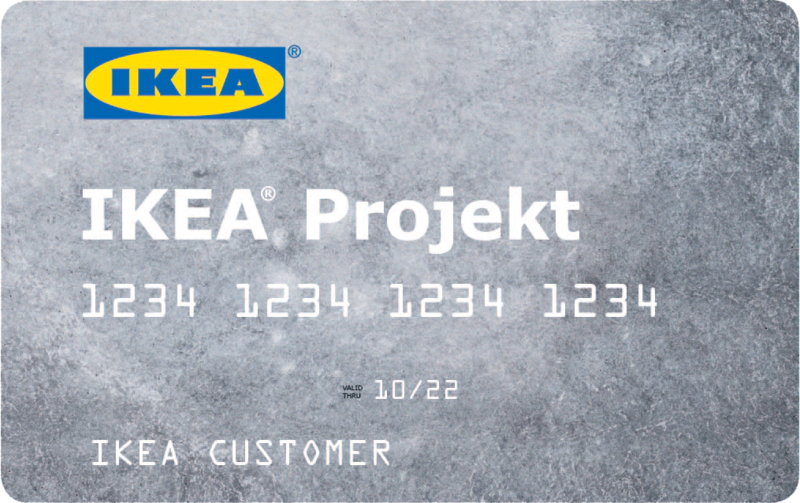 To qualify for the IKEA Projekt Credit Card, you’ll need a fair personal credit score (640+). Similar to cards from Home Depot, you can pre-qualify yourself for the IKEA Projekt card through the IKEA website, which will not hurt your credit score by any means. Pre-qualifying yourself only requires a credit summary and a soft credit inquiry, which doesn’t impact your score at all (check your credit score here). The IKEA Projekt Credit Card is missing a structured rewards program like the other home improvement cards have, although it does provide some excellent financing options. Also, because this is a store card, it lacks the flexibility to use at other retail stores and can only be used at IKEA. If you are looking to earn rewards, consider the True Value Discover Card. Online reviews suggest that people who are specifically looking to shop for their home improvement at IKEA think this is an excellent card option. They like the ability to finance their larger project needs and receive no interest for a time period. However, many people wish they could earn cash-back rewards on their IKEA purchases with this card. You can apply online or in-store with IKEA by providing your personal information. You will generally receive a decision within 24 hours and receive your card in the mail within 10 days. However, once approved, you can use your account immediately. The Home Depot Project Loan card is best for contractors who need to finance projects up to $55,000. With a fixed APR of 7.99%, you’ll have up to 84 months to pay off the balance. This card is ideal for making larger projects like kitchen and bath remodels, room additions, or roof replacements a reality. The APR on the Home Depot Project Loan card works quite differently than the rest of the store cards in this article. Although the regular APR initially seems low at 7.99%, this rate is charged every month until your balance is paid off. The biggest downside to this card is the total cost of capital if you take the full 84 months to repay. For example, the total cost of capital for $10,000 would be $65 per month, which totals to $455 if you take the full 84 months to pay it off. In comparison, the cost of capital with an APR of 21.99% is $180 per month and a total of $1,260 for the full 84 months. However, you can avoid this by paying the card off early, without any penalty. The ongoing fees that come with the Home Depot Project Loan card stack up pretty evenly with the Home Depot Consumer Card. Similar to the Home Depot Consumer Card, the Home Depot Project Loan Card has no annual fee and doesn’t allow balance transfers. In comparison, the True Value Discover Card allows for balance transfers at a fee of 3% of the amount. Similar to the IKEA Projekt card, the Home Depot Project Loan Card doesn’t have any structured rewards programs or benefits. Unfortunately, with this card, you won’t receive any cash back for purchases made at Home Depot like you would with the Home Depot Consumer Card. The only true benefit it offers is credit limits and financing up to $55,000, with long repayment terms up to 84 months. Generally, Home Depot requires a fair personal credit score of 640+ on all of their store cards, including the consumer, project loan, and commercial cards. If you don’t know your personal credit score, you can check your score for free online. The Home Depot Project Loan card doesn’t offer any cash-back rewards on Home Depot purchases. Unlike the True Value and Lowe’s card, the Home Depot Project Loan Card can only be used at Home Depot, and it must be used within six months of receiving the card. Online reviews suggest that if you plan on paying off your project loan over the full 84 months, this card is going to involve a lot of interest charges. It may be worth looking at other credit card options that offer 0% introductory APR periods if you plan on leaving a balance on your card. You can apply for the Home Depot Project Loan Card online and hear back on your approval immediately. If you are approved, you will receive your card within 10 business days. You can visit any Home Depot store location to get a temporary shopping pass if you need the funds sooner. The Home Depot Commercial Revolving card is for business owners only, such as house flipping businesses and real estate contractors, who need to track employee spending. It has no annual fee and offers flexible payment options with 60 days interest-free on every purchase. After the 60-day period is up, there will be an APR of 21.99%. It’s best for business owners looking to issue cards to employees and if your business is a high-volume spender at Home Depot. There are two different Home Depot commercial cards. 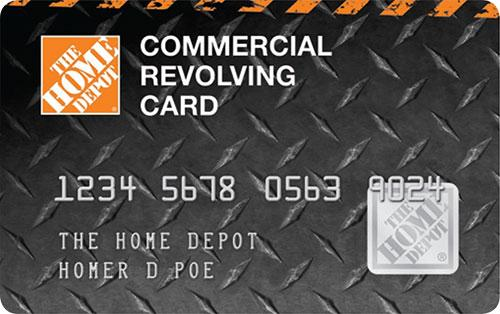 The Home Depot Commercial Revolving Card acts as a credit card. The Home Depot Commercial Account Card is a charge card and is required to be paid off in full every month. The Home Depot Commercial Revolving card offers no interest on every purchase for 60 days. This is an opt-in program and has a fixed APR of 21.99% that adjusts with the prime rate if you decide not to opt in. Regardless of your credit score, you will receive the same regular APR. If you decide to make low monthly payments, you will be charged this rate on any balances that carry over to the next billing cycle. Similar to the most of the cards on our list, the Home Depot Revolving Card has no annual fee and doesn’t allow for balance transfers. This is similar to both the Home Depot Consumer Card and Home Depot Project Loan Card. The one downside to this card is there is no grace period for receiving a late fee. The commercial revolving card has some great benefits for business owners, including employee cards, fuel discounts, 0% interest, and an excellent return policy. Since this is a commercial card, it comes with perks such as controlling employee spending. Conversely, the other cards on our list don’t give you this option. The Home Depot Commercial Revolving card requires a personal guarantee, meaning if your business can’t pay the debt, you will become personally responsible. This requirement is really no different than if you get a personal credit card to use for your real estate business. Generally, Home Depot requires that you have a good personal credit score (670+) to qualify for their commercial cards (check your credit score here). The Home Depot Commercial Revolving card doesn’t give business owners the opportunity to earn any rewards beyond fuel rewards. Also, these fuel rewards can only be redeemed at participating Shell and other select fuel stations. If you want to earn more rewards, consider the True Value Discover Card or Chase Ink Business CashSM. We sourced reviews online and found that many business owners believe this is a good card to have if your business spends heavily at Home Depot. However, some cardholders didn’t like that they couldn’t use their card at other stores. If you plan on spending throughout different stores and categories, it’s worth considering a rewards card like the Chase Business Ink Cash. You can apply for the Home Depot Commercial Revolving Card online and hear back on your approval immediately. If you are approved, you will receive your card within 10 business days. The Home Depot Commercial Account Card is best for business owners who want employee cards and no-interest payments. Since it’s a charge card, instead of a credit card, it carries no introductory or ongoing APR. It has no annual fee and must be paid in full each month. It’s best for business owners looking to issue buyer ID cards and for those who know they can pay off their balance in full every month. The Home Depot Commercial Account Card works differently than all of the other home repair credit cards we’ve covered. It works as a charge card, so there’s no set APR or minimum monthly payment because you’re expected to pay the balance in full every month. Instead, any balances that carry over into the next billing cycle will be charged a late fee depending on the amount due. If you don’t think you’ll be able to pay the card in full each month, but still want a Home Depot card, consider using the Home Depot Commercial Revolving card. The fees on the Home Depot Commercial Account and Revolving cards are identical, with the exception of the maximum late fee. With this home repair credit card, you can expect a late fee up to $35 if you fail to pay your balance in full every month. This is lower than the True Value Card, which has a late fee of $37. The Home Depot Commercial Account Card includes the same excellent benefits for business owners as the Commercial Revolving Card, such as employee cards, fuel discounts, and a one-year return policy. Also, with this card, you have the opportunity to itemize and pay your different invoices. The Home Depot Commercial Account Card doesn’t require a personal guarantee. This means the liability is held only with the company. They require that your business has three years of reported business credit. To qualify for Home Depot’s commercial cards, they typically require that you have a good personal credit score of 670+ (check your credit score here). Like the Commercial Revolving card, the Commercial Account card doesn’t have that great of a rewards program. Cardholders and business owners only have the opportunity to earn fuel rewards that can only be redeemed at participating Shell and other select fuel stations. 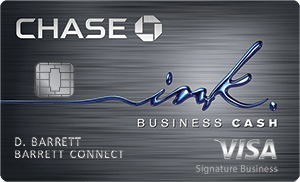 An excellent alternative that has a rewards program would be the Chase Business Ink CashSM. We sourced the web for reviews and in doing so, discovered that many business owners have found success through using this card for their Home Depot project purchases. However, most business owners agree that the Commercial Account card lacks a beneficial rewards program. 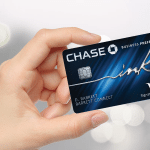 If cash-back rewards are your focus, consider a rewards card like the Chase Business Ink CashSM. You can apply for the Home Depot Commercial Account Card online and hear back on your approval immediately. If you are approved, you will receive your card within 10 business days. The IKEA Visa Credit Card is best for real estate professionals with Airbnb properties or vacation homes. These types of investments typically need updated fixtures and furnishings often, which can be bought at IKEA. This card has no introductory APR and a fixed regular APR of 21.99%. You can earn up to 5% back in IKEA rewards for IKEA purchases and 3% back in IKEA rewards for other eligible purchases. Compared to other cards in our list, like the Home Depot Credit Card, the IKEA Visa Credit Card doesn’t offer introductory financing. Instead, you will have a fixed APR of 21.99%, which fluctuates with the prime rate. Since there is only one APR that applies to this card, you can’t land a better rate by having a higher credit score. A high APR might not matter if you plan to pay your card in full every month. However, if you are looking to make a big purchase at IKEA that you can’t pay off immediately, it’s worth considering an alternative, like the IKEA Projekt card. The ongoing card fees that come with the IKEA Visa credit card are very similar to that of Home Depot, Lowe’s, and True Value. The IKEA Visa Credit Card has no annual fee, a minimum $10 for balance transfers, and a maximum late fee of $37. The IKEA Visa Credit Card offers a small introductory reward as an incentive to make your first IKEA purchase. You can also earn 5% back on IKEA purchases and 3% back on eligible purchases outside of IKEA. Similar to the True Value card, IKEA is a great option because of the ability to use it at other stores to earn rewards. One downside to these rewards is that they can only be used for IKEA purchases and expire 45 days after being issued. 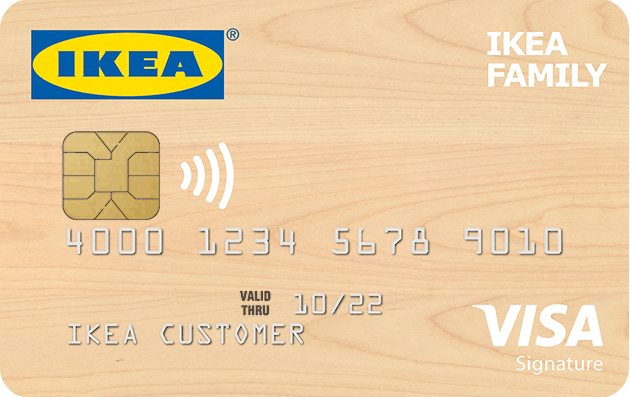 To qualify for the IKEA Visa credit card, you’ll need a fair personal credit score (640+). Unlike Home Depot, IKEA doesn’t give you the option to pre-qualify. This means you can’t check to see if you would be approved for the card prior to applying. Since this is the case, it’s best to have an idea of where your personal credit score stands (check your score for free). The IKEA credit card lacks an introductory APR period and financing options, which can cause interest charges if you don’t plan on paying off your purchases right away. The IKEA Visa Credit Card provides some great cash-back rewards for IKEA purchases, but those rewards can only be used for other IKEA purchases. We sourced online customer reviews and in doing so, found that it’s an excellent option for IKEA shoppers. Cardholders especially like that they can maximize their rewards for home improvement projects with IKEA. They also like the fact they can earn rewards on dining, groceries, and utilities. The only negative review we found was that the card lacks financing opportunities at IKEA. You can apply online with IKEA by filling out a basic application containing your personal information. Applicants typically get a decision within 24 hours, and if they’re approved, they can receive their card in the mail within 10 days. The Amazon Store Card is best for investors and homeowners who have properties, including vacation homes and Airbnbs, that need updating with more regularity. This card offers no annual fee, no interest for up to 24 months on eligible purchases, and an ongoing fixed APR of 27.99%. The real value of this card is saved for Amazon Prime members who can earn 5% cash-back rewards on eligible Amazon purchases. The Amazon Store Card carries a high APR of 27.99%; it isn’t made for those who need to carry a balance. However, Amazon does offer a financing option for eligible purchases, which makes up for the lack of an introductory APR period. Similar to the IKEA Projekt card, you can receive 0% interest for six, 12, or 24 months on purchases of $149+. 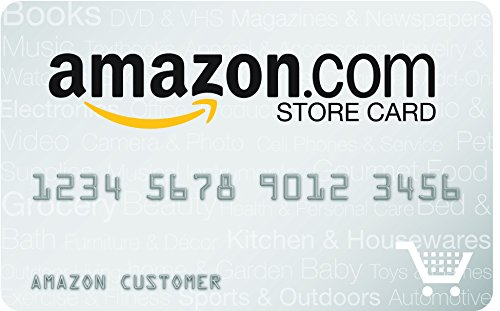 The Amazon Store Card carries no annual fees and doesn’t allow balance transfers, similar to the Home Depot Consumer Card. However, the late fee is $2 less than that on the Home Depot Consumer Card, but without the 25-day grace period. In addition to their six-, 12-, and 24-month financing, they also offer equal pay financing. This allows cardholders to make equal monthly payments, at 0% APR, until paid in full. You will accrue interest if the promotional balance is not paid in full within the promotional period. The real value in the Amazon Store Card, beyond the financing options, is its 5% cash-back rewards on Amazon purchases. However, you must be an Amazon Prime member to unlock these rewards, which costs $99 per year. While these rewards can be valuable to Prime members, this annual cost can cut into your rewards. Depending on your credit history, Amazon will accept personal credit scores as low as 600. We believe that it’s easiest to obtain this store card with a personal credit score of 640+. You can get free personal and business credit scores through Nav. The Amazon Store Card is missing a rewards program that non-Prime members can benefit from. If you’re don’t already have an Amazon Prime membership and you’re looking to maximize your cash back, it’s worth considering looking into cash-back rewards cards like the Chase Ink Business CashSM. Online customer reviews suggest people have mixed thoughts about this card. Most people and business owners purchasing tools and accessories like using the Amazon Store Card to help finance their project needs. However, there are negative reviews regarding account issues with Synchrony, the bank that provides the card. To get an Amazon Store Card, you can apply on Amazon.com. The application is quick and you will receive a credit decision in as little as 15 seconds. If you’re approved, the card will be mailed to you within seven to 10 business days. The Chase Ink Business CashSM card is a business credit card that’s best for investors who are buying properties through their holding company. Those investors can use this card to purchase furnishings and fixtures needed to update their properties. With this card, you can earn between 1% and 5% cash-back rewards and receive no interest for the first 12 months on purchases. After the promotional period ends, this card has an ongoing APR between 15.49% and 21.49%. The Chase Ink Business CashSM offers a no-interest introductory period for 12 months for purchases. Compared to the rest of the cards on our list, this is by far the longest. Once this promotion period ends, the ongoing APR is between 15.49% and 21.49%. Its APR can fluctuate based on market conditions, but there’s typically not too much variation from year to year. Compared to our best home improvement card, the Home Depot Consumer Card, this APR is lower. The Home Depot Consumer Card has interest rates about 3% to 5% higher. While APR impacts those who keep a balance on their credit card, annual fees, foreign transaction fees, and balance transfers affect all cardholders. The Chase Ink Business CashSM has no annual fee, a 3% foreign transaction fee, and balance transfer fee of at least $5. This differs from the Home Depot Consumer Card because this card allows for balance transfers, which the Home Depot Consumer Card doesn’t. The Chase Ink Business CashSM card offers excellent introductory rewards and ongoing rewards ranging between 1% and 5%. These bonuses can help you earn some extra cash to spend on travel or other business expenses. 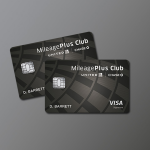 These rewards are more beneficial than the True Value Discover Card, which offers up to 3% in rewards. To qualify for the Chase Ink Business CashSM card, you’ll need an excellent personal credit score (670+). This card is a bit more difficult to qualify for compared to the rest of the home improvement cards that only require a score of 640+. If your credit score is below 670, there are alternative Chase Ink cards for business owners that you can consider (check your credit score here). The Chase Ink Business CashSM card doesn’t provide extra cash back for travel expenses, like some other small business credit cards. However, it does provide strong introductory rewards. If a business credit card isn’t right for you, consider a home improvement card like the Home Depot Consumer Card. Chase Ink Business CashSM reviews are excellent. Cardholders especially like that the card pays high cash-back rewards without any annual fee. The card is also backed by one of the largest retail banks in the country, which gives cardholders some security. There are no negative reviews for this card. We compared the 10 best credit card for home improvement options for homeowners, contractors, handymen, fix and flippers, and other real estate professionals. After researching each of the cards, we ranked them based on an evaluation of their costs, rewards, and qualifications. After reviewing these home improvement credit cards, we recommend the Home Depot Consumer credit card because it gives you hassle-free returns for one year, everyday financing on purchases over $299, and it’s an excellent option for your occasional home improvement project.